I saw this in a shop in Derbyshire and fell in love with the baby blue colour. 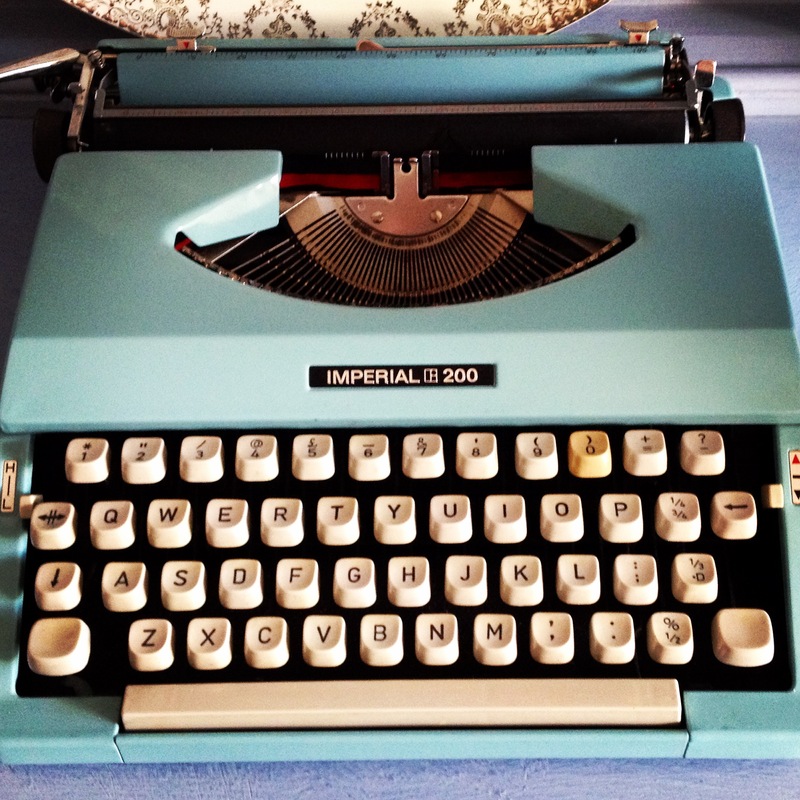 It’s an old Imperial 200 typewriter, all in full working order as far as I can see, although I haven’t tried it out yet. This lovely thing currently takes pride of place upon my mum’s old welsh dresser, now adorned in Annie Sloan baby blue paint. They are a match made in heaven. 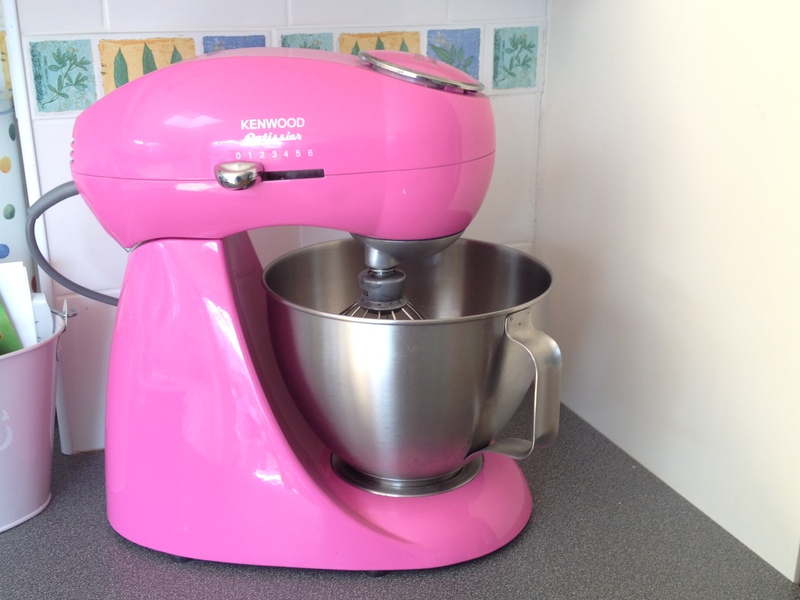 My Kenwood Patissier pink mixer! It goes very well in my retro kitchen with my pink Smeg fridge! I love looking at it when I am cooking plus it’s a great time saver when I’m making cakes (which happens to be quite often!). I remember growing up in a kitchen with a well used and well loved Kenwood Chef. It wasn’t pink though! 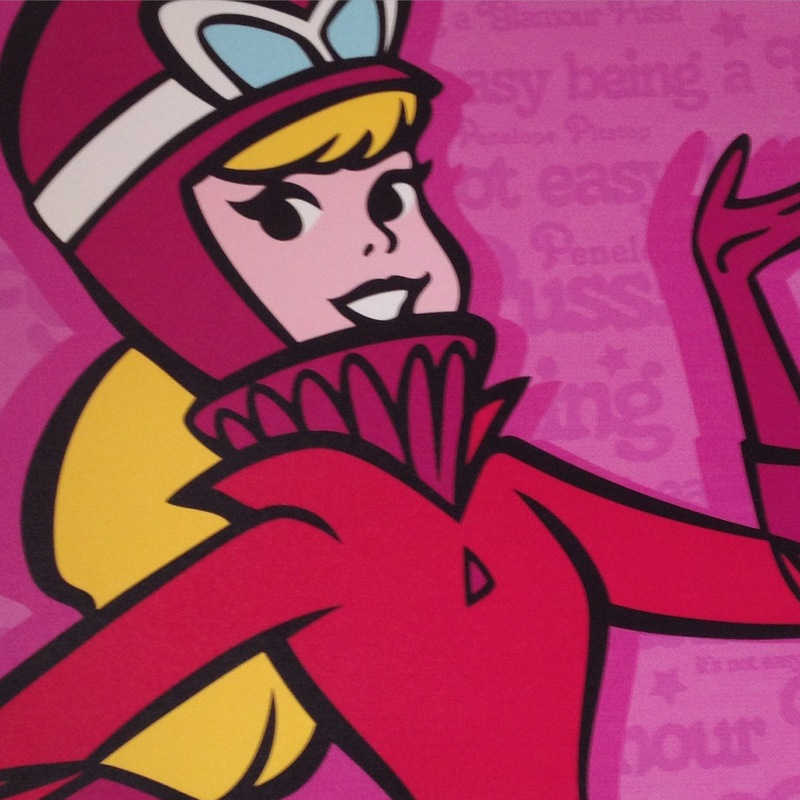 Ah, the delightful Miss Penelope Pitstop. My canvas of Penelope hangs above the TV, so when I’m bored with watching programmes, I can reminisce about my childhood favourite and how I always wanted to be like her. Any visitors to my house tend to go straight for her in amazement! To my delight, my son now loves Wacky Races!